It has been almost 3.5 years when I started on my very first Hada Labo lotion and cleanser. Through the years, the number of variants have increased, with more products catered for targeted skincare needs. I put the Whitening Lotion and Hydrating Mist in office to keep me refreshed at work. 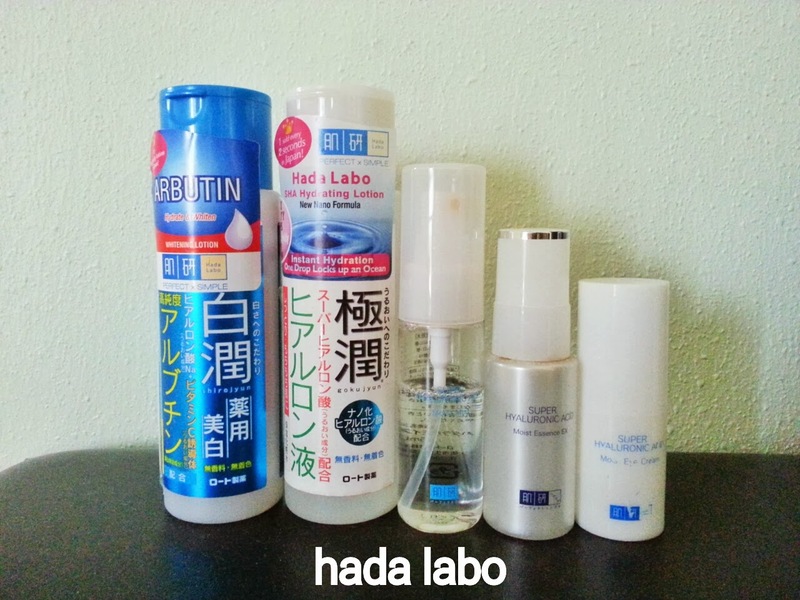 Now, Hada Labo has come up with yet another range of products: oily and combination skin. 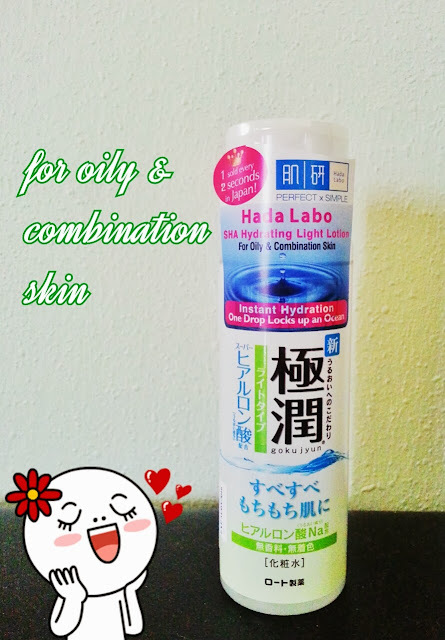 I have oily and combination skin, though the regular Hada Labo lotion still works well for me. It doesn't feel too heavy for my skin. But with this specific Oily & Combination range, I will have a better product to suit to my skin type. 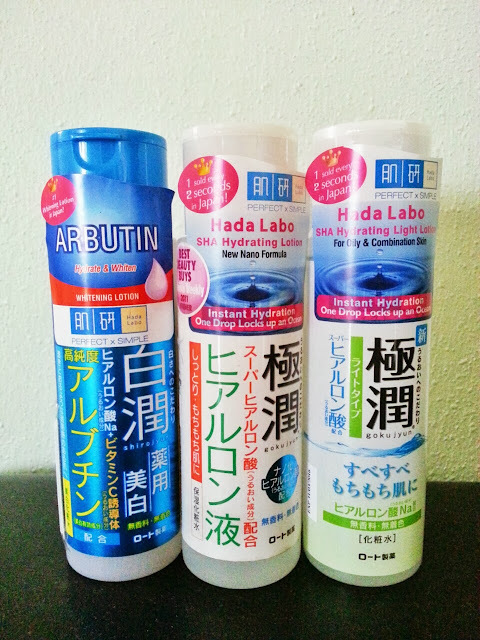 The lotion feels lighter than the regular Hada Labo lotion and absorbs into your skin in a mere instant. Though it feels less dense (as if it's not locking an ocean in a drop), but it still keeps my skin feeling soft and hydrated. 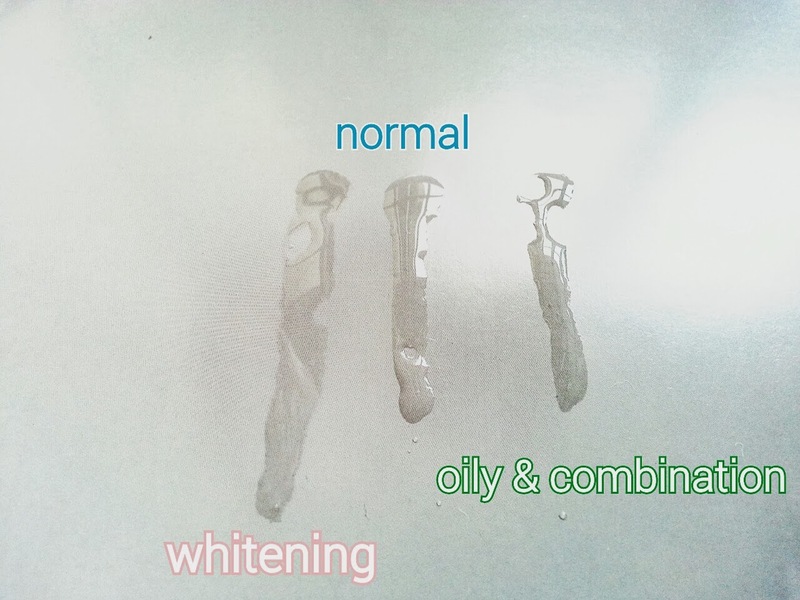 In an attempt to showcase the difference between the 3 hydrating lotions I have, I put a drop of each onto a laminated paper and tried spreading it. Hada Labo is available at all Watsons, NTUC, Guardian, SASA, BHG and Unity for RSP S$22.90.